I was part of a conference call earlier in the week with several astronomy teachers from around the country. They were friendly, fun and knowledgeable and our discussion centered around our plans for the year. I became increasingly apparent to me that I have no clue what I'm doing. Having a passion for something is important, but is not nearly enough to be able to teach that subject. The teacher who has been teaching this class in previous was kind and generous enough to give me everything he had. As I look through it, I'm becoming increasingly aware of how much work I have to do to get up to speed. I'm not going to pretend to be an expert and I told my students that, since this is the first time I'm teaching the course, that I would be learning along with them. Earlier this week, I ran into a cashier who had some very nerdy and cool tattoos on display. 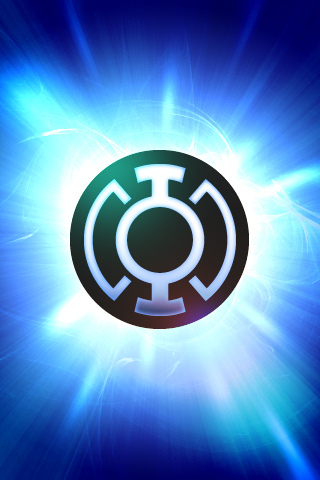 The one that got me thinking about the crest of the Blue Lantern Corps, soldiers of hope throughout the universe. I think that I will be channeling them this year as I try to stay a few steps ahead of the kids. I have hope that I will be able to right by them. During the conference call, I asserted that I wasn't super pleased with the order in which this course was traditionally taught and that I might switch it up a bit. I'm thinking that I'm not doing that. Maybe if I keep teaching it, in a few years I'll feel more comfortable, but for right now, I'm sticking to the outline. That means this coming week, we will be starting to talk about astronomical tools. The outline for the coming chapter starts with waves and light. I figured that since we had a quiz yesterday and were doing some pretty numerically intensive work this week, today would be a good day for a video. I pulled up a video from Crash Course: Astronomy from Phil Plait that dealt with distances and how we determine them. 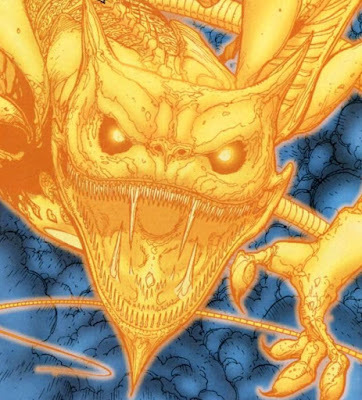 We will be talking more about parallax later in the year, but this was a great intro. I also showed them a brief video about black holes and how small or big they can be. That sparked a short discussion about how black holes (and anything with gravity) bend the space-time around it. The majority of the students were VERY interested in that. Then we went into the hallway with a VERY long slinky and I gave them a brief introduction to compression and transverse waves. I'm hoping that I can continue to hold their interest with the various demonstrations and activities. My loopiness may have manifested later in the day with me chasing students around my room with a boom cannon... When I aimed it at one of my physics students, he threw his hands up and yelled "black lives matter!"